Young Persian Prince Orasmyn lives a peaceful life of quiet duty and thoughtful obedience. Tending his fragrance garden gives him much more pleasure than the bloody royal hunts staged by his father. But a single wrong decision sets in motion an ancient curse that changes Orasmyn's fate forever. Told he will be killed by his own father, he is transformed into a lion on the day of a great hunt. The prince has no choice but to flee beloved Persia and his precious family. Balancing his fading human memories with his new beastly impulses, he makes his way to Europe-where his destiny awaits in the person of a French beauty named Belle. 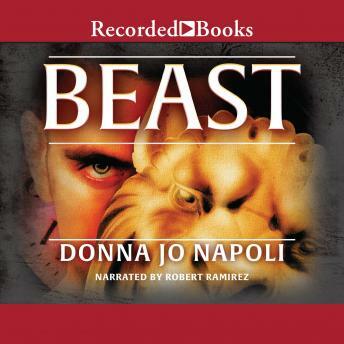 Donna Jo Napoli once again weaves the magic she has shown in books like Crazy Jack and Zel, transforming a well-known fairy tale into an unforgettable epic of duty, love, and redemption. Robert Ramirez's narration captures all the anguish and struggle of Orasmyn's quest to regain his humanity.